Looking for impressive French duck recipes? 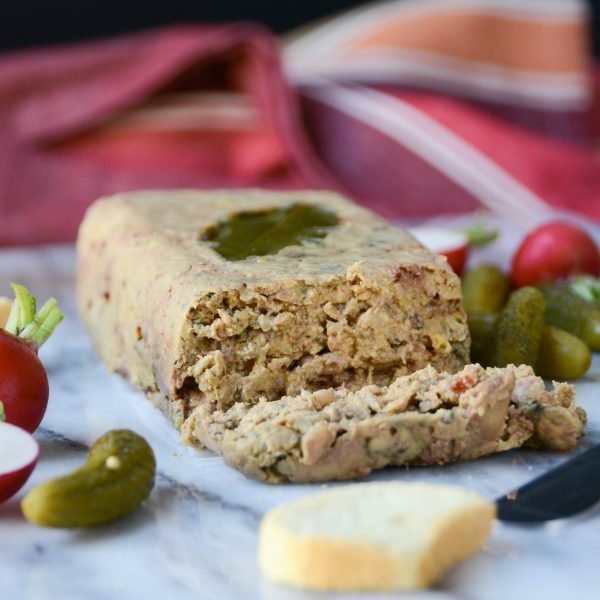 Look no farther than this pate de canard. I know it sounds fancy, however, this is actually a pretty straightforward recipe to make. 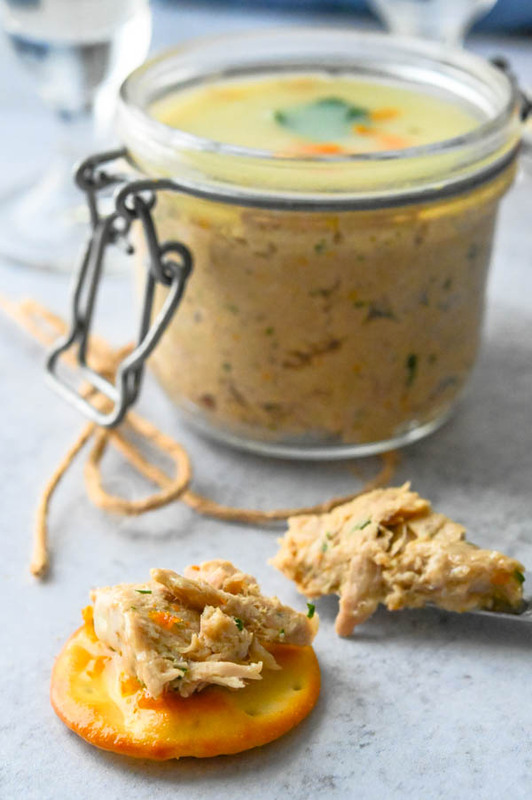 Just give yourself a few days before you want to serve it, because this aromatic duck rillettes recipe gets better the longer it sits. I’m half French (my Mother’s side) and as a result, I’ve eaten my fair share of French duck recipes. From cassoulet to confit, duck à l’orange to foie gras, I’ve devoured them all and I’d really like to try this Russian version. 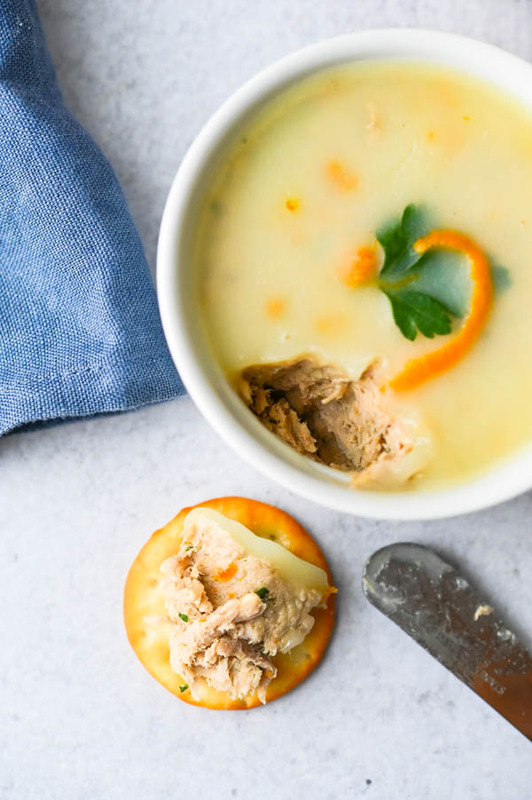 One of my favorites is this aromatic duck rillettes recipe. 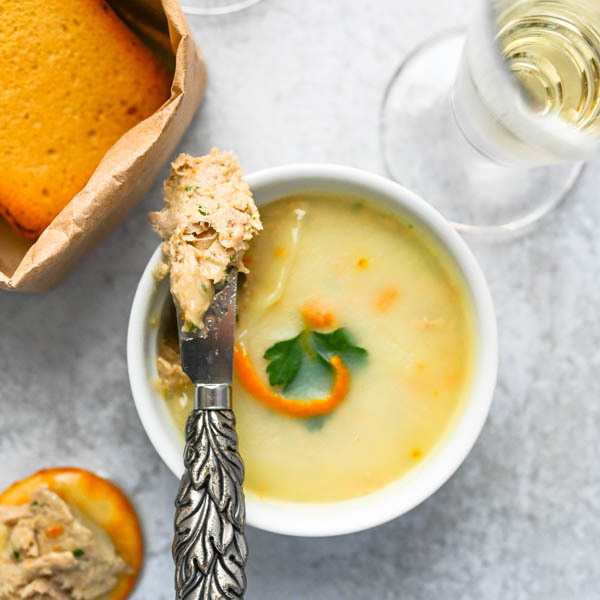 It uses a whole slow-roasted duck for the meat, stock and fat that these rillettes demand… and it couldn’t be any simpler to prepare. I know, it looks like a long list of ingredients, but I’ll bet you have more than half of them already in your pantry and refrigerator. I modified Chef John’s recipe for technique (I found this streamlined method to be easier), but you can check out his video to see how he does it. This recipe takes 2 days to make, primarily because the duck takes 7 hours to cook and you want to give the duck fat and stock to separate into two distinct layers in the refrigerator. Trust me, it’s easier this way. Mix together the salt, pepper and dried thyme for the duck rub. 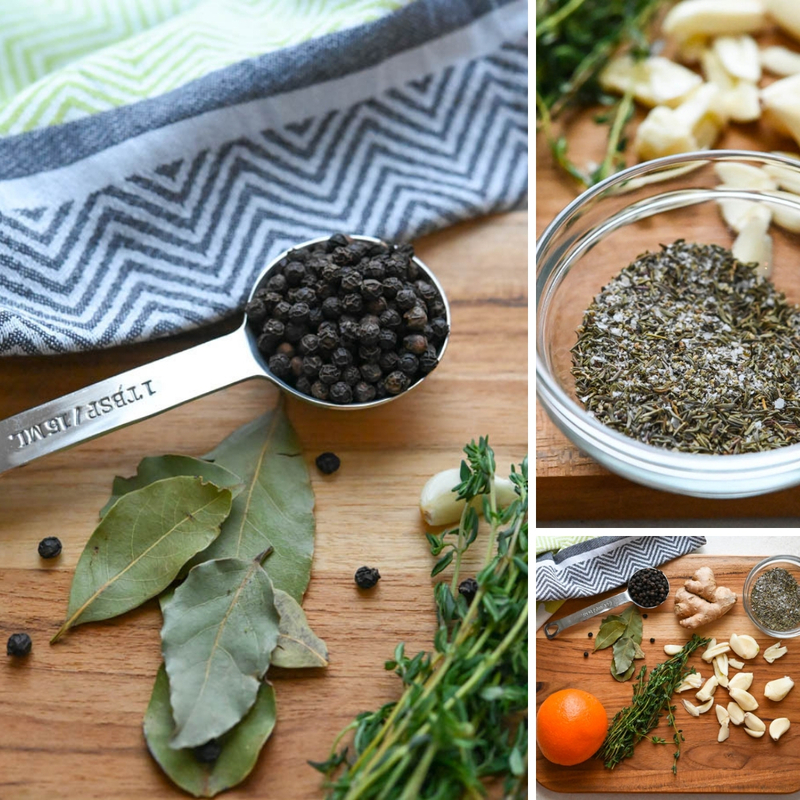 Combine the garlic, ginger, bay leaves, orange rind, fresh thyme and peppercorns for the potpourri. 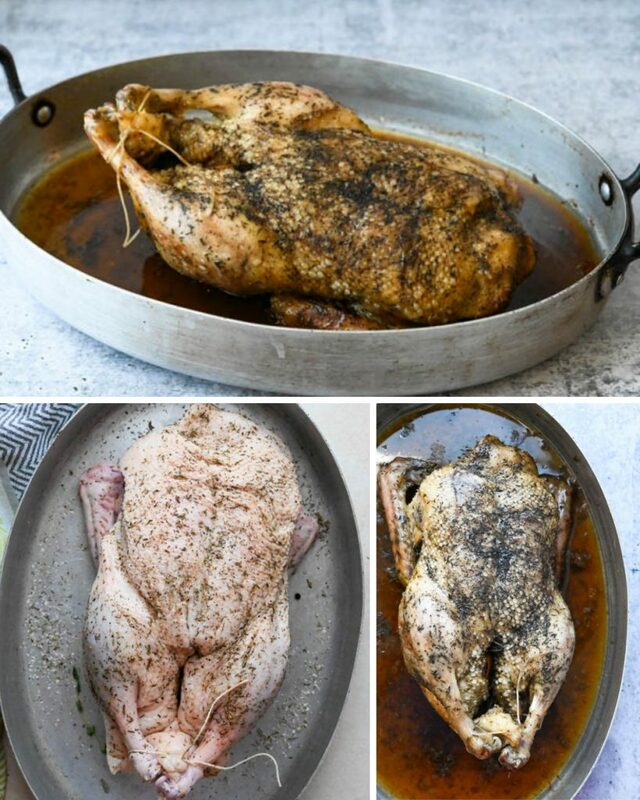 Place the duck in a roasting pan and generously season the outside of the duck with the rub. Fill the duck cavity with the potpourri. Roast in a very low oven for 7 hours or until the duck is very tender and the fat and jus have rendered. Remove the flesh from the duck and place the meat in a storage container. Refrigerate overnight. Strain the drippings and stock into quart sized jar. Seal and refrigerate overnight. The next day, scoop the solidified duck fat off the top of the stock and transfer to a small bowl. Combine the duck meat, cognac, orange zest, butter, parsley, dijon mustard, cayenne pepper with some of the warmed duck fat and duck stock. Mix in a stand mixer or by hand until everything is well combined. 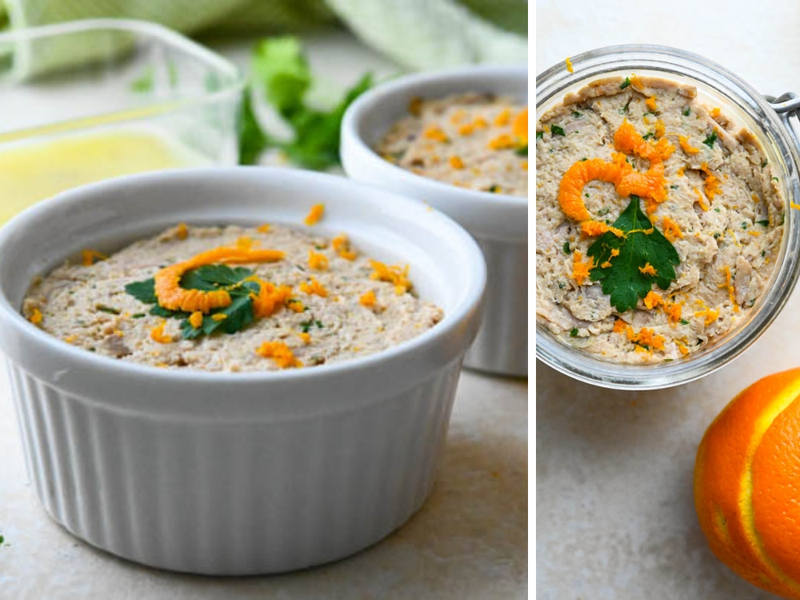 Transfer the duck rillettes to ramekins or storage jars (makes a great holiday gift). Garnish with a bit of parsley or thin orange peel and spoon warm duck fat over the top to seal. Cover and refrigerate for a few days or up to a week. 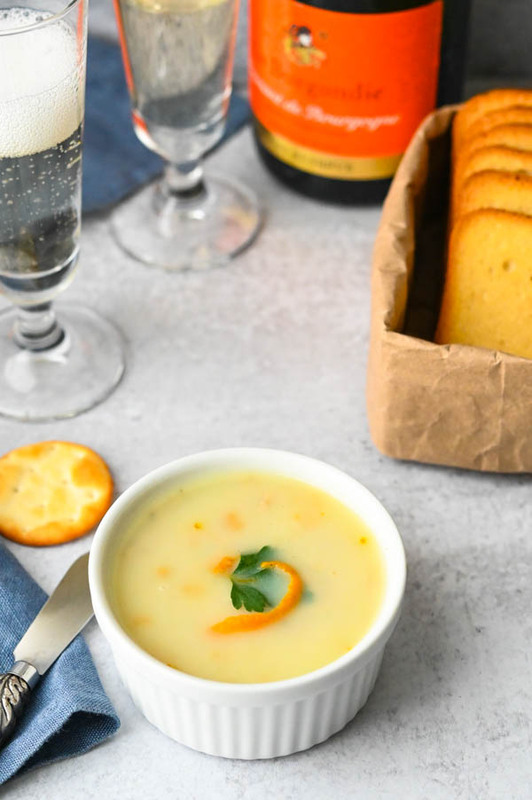 Serve with crackers, french bread or crostini with cocktails. I mentioned that you should save the carcass (skin and bones). That’s because you can make a delicious duck stock with them. I’m in the process of writing that post right now and when it’s done, I’ll be delivering it to you. If you’re making this French duck recipe to serve at your own party or get together, use some half or whole cup ramekins to serve it in. If you’re planning on gifting the aromatic duck for a holiday present or some other occasion, look for mini Heremes jars or Weck mold jars for a beautiful presentation. 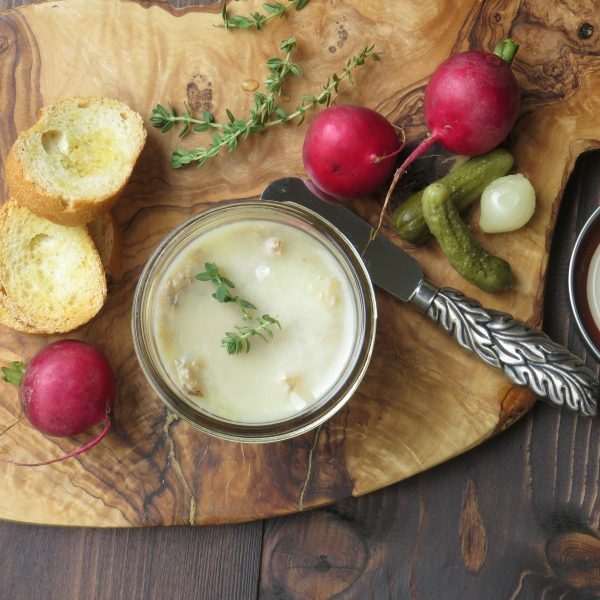 The flavors will deepen over the course of several days, so I like to make this rillettes recipe three to four days, or even up to a week before I’m planning on serving it. Let the rillettes sit out for half an hour or so to come to room temperature before digging in. This aromatic duck is delicious spread on crostini and served with a crisp bubbly wine. Inexpensive: Package in a nice jar with a ribbon or bow and give with a sleeve of good crackers. Moderate: Start with the “Inexpensive” idea, but also include a serving tray and good spreader knife. The Sky’s The Limit: Start with the “Moderate” option and add a really good bottle of bubbly. In a small bowl mix together the kosher salt, black pepper and dried thyme. Set aside. In a medium bowl combine the garlic, ginger, bay leaves, orange peel, thyme and peppercorns. Toss to combine with your hands. Set aside. Place the duck in a roasting pan. Sprinkle the inside of the duck cavity with 1/3 of the spice rub. Sprinkle 1/3 on the back of the duck. With your hands, insert the potpourri fully into the duck cavity. Sprinkle duck breast with the remaining 1/3 of the spice rub. 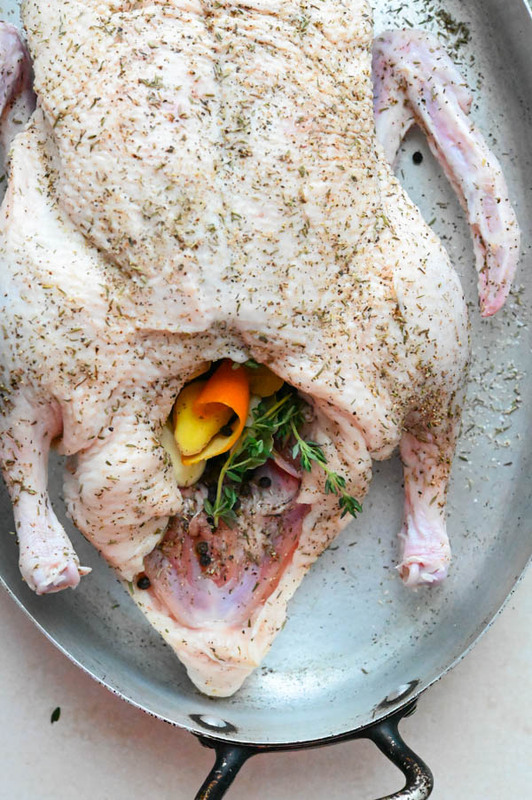 Place the duck in the oven and cook for 7 hours, or until the duck meat is easy to pull away from the bones. Note: this low, slow method of cooking will render copious amounts of duck fat and jellied stock and may fill 1/3 of the baking dish. That's what you want. Lift the duck and drain any fluids from it. Transfer to a cutting board. Place a sieve over a quart sized jar or other storage container and pour the drippings and stock through the strainer. Seal with a lid and refrigerate. Remove the skin from the duck. 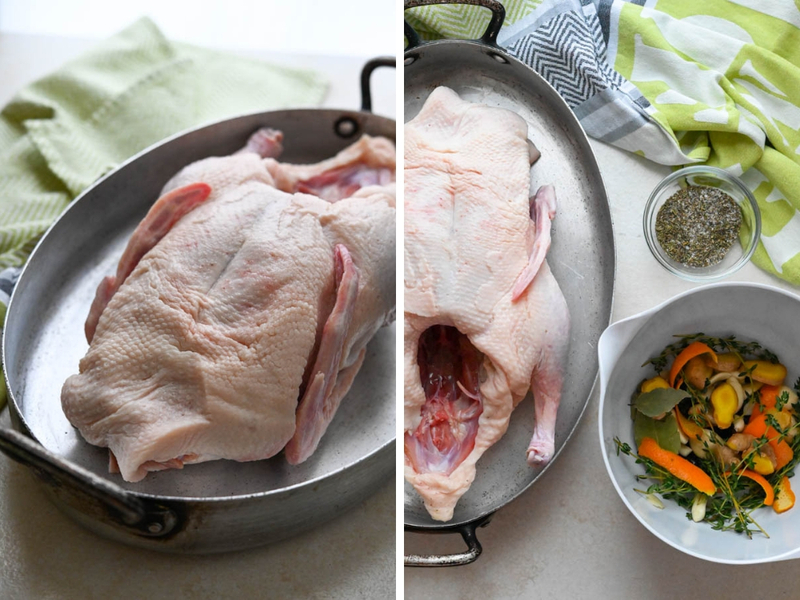 Remove the flesh from the duck and transfer it to a sealed storage container and refrigerate overnight. You can discard the skin and bones from the duck (or keep them and make a really good duck stock). 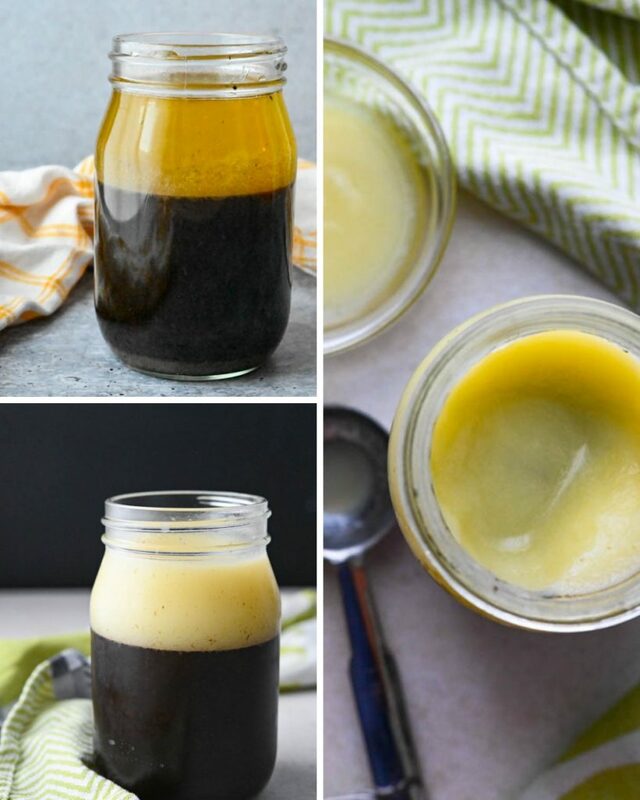 Remove the stock/fat jar from the refrigerator. They will have separated into two distinct layers. The top is duck fat and the bottom layer is duck stock. Use a spoon to scoop out the top layer of duck fat and transfer to another container. You'll use a little bit of each for this recipe -- the rest can be saved for other uses (plenty of duck fat/stock recipes here). 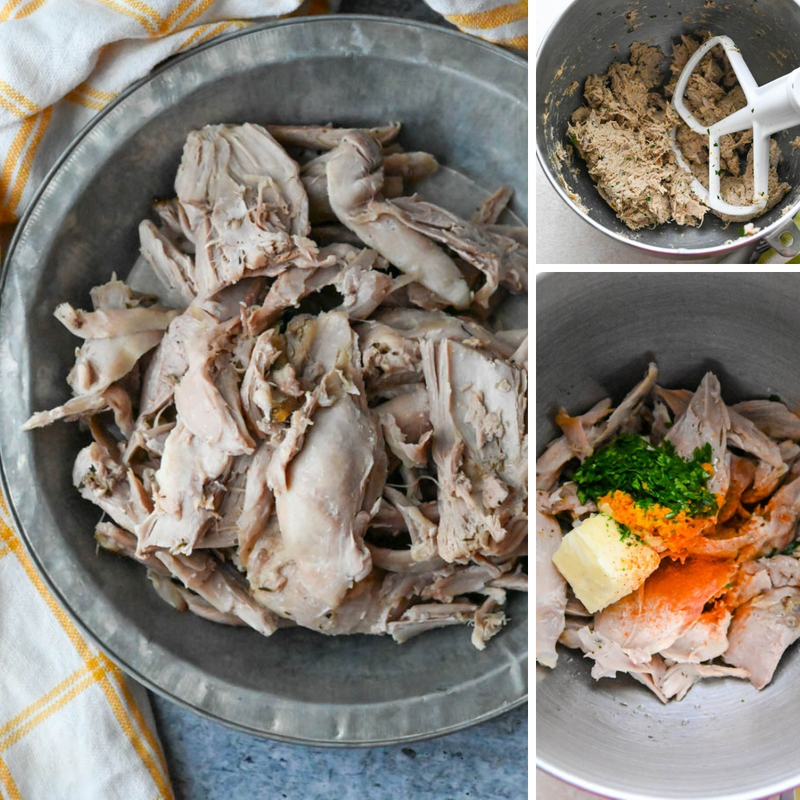 Transfer the duck meat to the bowl of a stand mixer. Add the cognac, softened butter, parsley, orange zest, dijon mustard and cayenne pepper. Add 2-3 tablespoons of duck fat and 2 tablespoons of the broth to the duck meat. Attach the paddle attachment on the stand mixer and mix on a low speed until meat breaks apart and is incorporated with the other ingredients. 2-3 minutes. 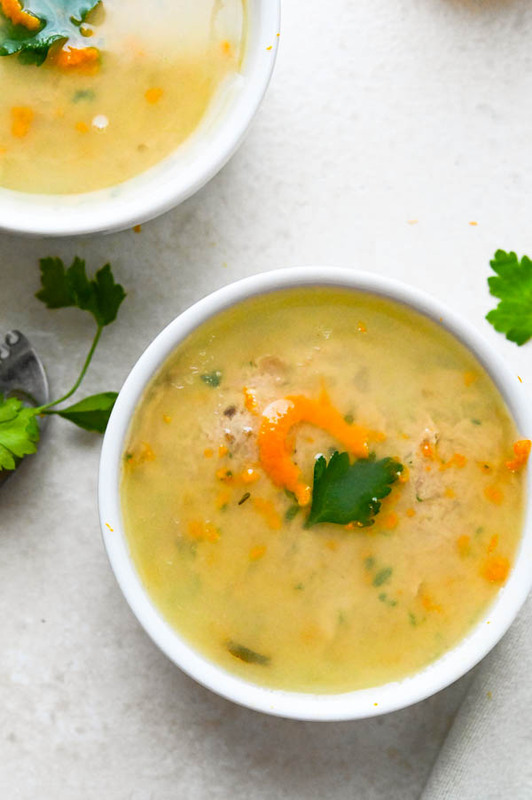 Use a wooden spoon and work the meat mixture into the other ingredients, until it's a fairly smooth consistency and all the ingredients are well combined. Fill half-cup ramekins or canning jars with the duck mixture. Smooth the tops with the back of a spoon. 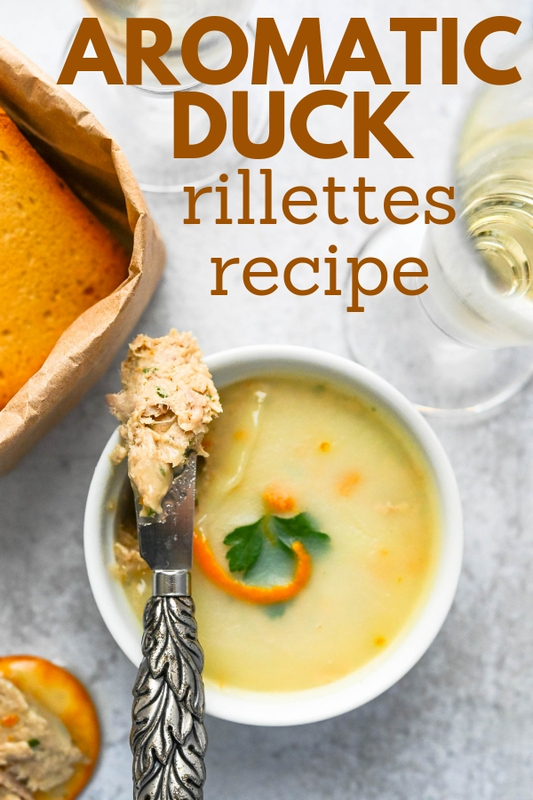 Top the aromatic duck rillettes with optional garnish and seal the rillettes with 1-2 tablespoons of additional duck fat. Cover and refrigerate for several days and up to a week for the flavors to marry. 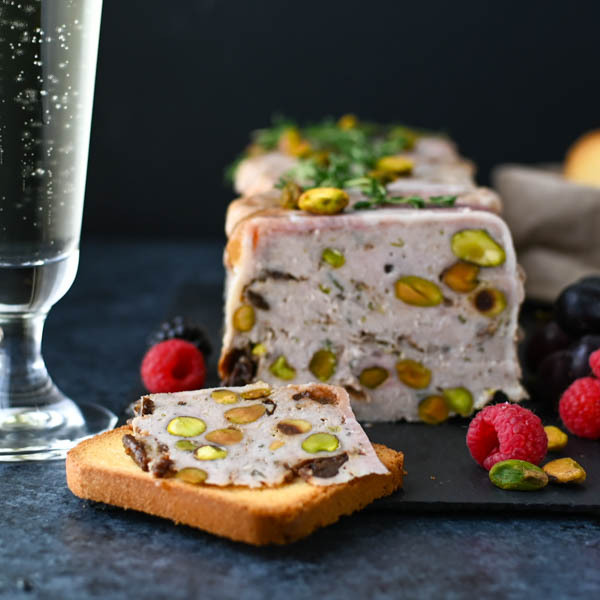 Serve with crackers or crostini and a cocktail! Crazy as it sounds -- my duck yielded 4 half-pint crocks. 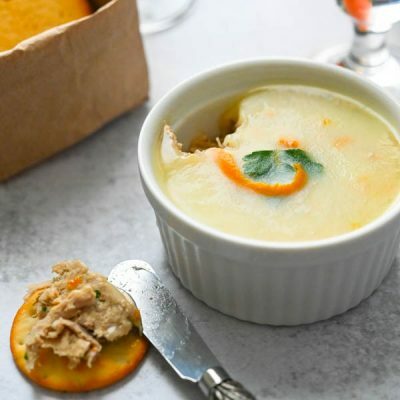 Pin “Aromatic Duck Rillettes Recipe” For Later! This is amazing!!! The people that receive this gift from you should deem themselves incredibly lucky!!! I looooove duck rillettes! Thanks, Chris — I have a few special recipients picked out!